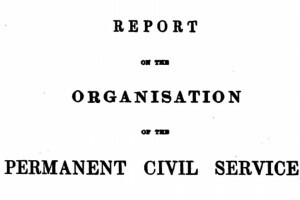 This year is the 160th anniversary of the Civil Service Commission, which grew out of the 1854 Northcote-Trevelyan report on the Civil Service. The Commission was established to oversee recruitment to the Civil Service on merit, on the basis of fair and open competition. There is some debate over whether this represents the birth of the modern Civil Service - it certainly did not spring forth fully formed, and the main recommendations of Northcote-Trevelyan were not fully implemented for another 15 years, when competitive examination became the primary means of entry to the Service. The front page of the Northcote-Trevelyan Report, 1854. What we can say is that the report, and the Commission that followed, was a vital catalyst for a permanent, meritocratic Civil Service, based on the guiding principles of integrity, honesty, objectivity and political impartiality that we still adhere to today. There have been officials, advisers, administrators and servants of the state for as long as there have been local, regional, national and imperial governments. Even the idea of a formal body recruited on merit is not exactly recent – the Chinese Han dynasty (206 BC-AD 220) introduced competitive examinations for civil officials long before the practice was adopted in the west. But the core principles that grew out of Northcote-Trevelyan were something rather different from the narrow definition of public service based on unquestioning loyalty and subservience to a – usually – autocratic state. Before the 1850s, UK government departments were essentially bureaucratic islands, with little common purpose. They appointed their staff mainly by patronage rather than on merit, and were popularly synonymous with byzantine practices so antithetical to the idea of public service they would have made even Sir Humphrey Appleby blush. entrants should be recruited to a unified Civil Service, not a specific department, allowing transfers between departments. Entry by examination was required for parts of the Civil Service until the 1980s, but the principles of fair and open competition and appointment on merit remain the cornerstone of our recruitment, and continue to be assured by the Civil Service Commission. In many ways, the Civil Service has changed out of all recognition since Northcote-Trevelyan, not least in numbers. From around 16,000 in 1854, the number of civil servants rose to 282,000 in 1914 (reflecting the creation of the Labour Exchange network) to a high of 1.16 million in 1944, when it was coping with the demands of wartime. We now stand at around 400,000. From being a mainly advisory and regulatory body, the Civil Service gradually became more involved in delivering public services, a process accelerated by two World Wars, and recruited more widely, including people with specialist backgrounds in business and science, for example. Women were accepted into the service after the First World War, and from 1925 could be recruited direct to the higher grades – though, as Department of Health Permanent Secretary Una O'Brien recently reminded us, the first woman permanent secretary wasn’t appointed for another 30 years. The Civil Service can’t afford to stand still. It is constantly evolving, and has adapted, sometimes too slowly, to changes in society and technology. So some things definitely do need to change – we have a way still to go in matters of equality, diversity and capability. But some things never should. In this category I include the values in the Civil Service Code: integrity, honesty, objectivity and impartiality – the four pillars of public service in the UK. Up close, it is easy to pick out the flaws in something, and we are perhaps too close to judge ourselves objectively. As Oliver Letwin, now in overall charge of Cabinet Office, told civil servants last week, sometimes we need to remind ourselves – and others – how highly we are regarded, not least overseas. That regard is built on respect for how we stick to our core values. 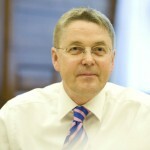 But if we have to remind ourselves, there is no better time than now, immediately after a General Election, when civil servants seamlessly put their support and expertise at the service of a new government – a transition at the very heart of what the Civil Service stands for, but which we take almost for granted. In Charles Dickens’ Little Dorrit (1854-57), the Circumlocution Office stands for government’s devotion to the exhaustive pursuit, when anything needed to be done, of “how not to do it”, stamping on “any ill-advised public servant who was going to do it, or who appeared to be by any surprising accident in remote danger of doing it”. On the contrary, over the last 160 years, the UK Civil Service has been devoted to getting ever better at “how to do it”. The Leadership Statement is just the latest expression of the imperative to be better at delivering the programme of the government of the day and serving the public. That process will never be complete. The world is constantly changing. So, we must always be ready to adapt and give civil servants the freedom to find new ways of “doing it”, while sticking to the core principles of public service we can trace back to Northcote-Trevelyan. 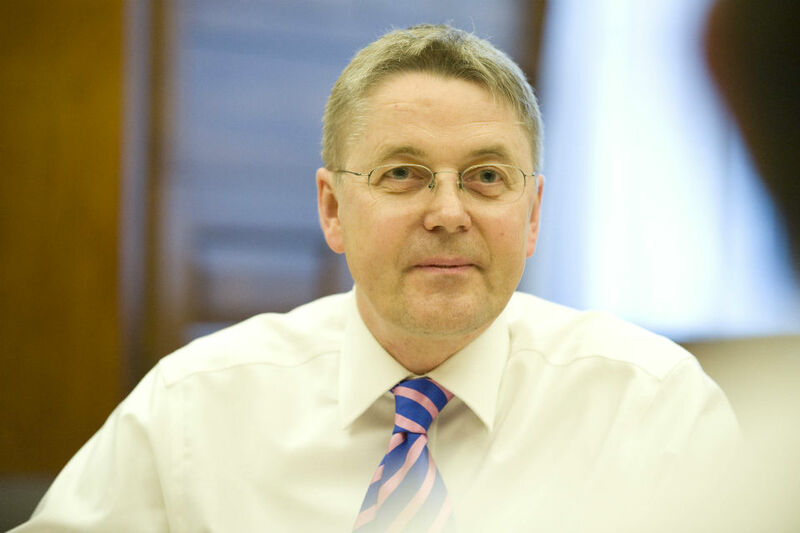 "To remain the best in the world the Civil Service needs constant change to respond to both the challenges and the opportunities of our times." I always worry when I hear we need constant change. I agree that adaptability is needed, to adjust to any changes that may happen. But constant change? Even if nothing needs to be changed? What about stability? What about permanence? Surely it's better to have periods of taking stock, of sticking with things, seeing them through, rather than a constant state of flux? -πάντα χωρεῖ καὶ οὐδὲν μένει - Everything changes and nothing stands still. -δὶς ἐς τὸν αὐτὸν ποταμὸν οὐκ ἂν ἐμβαίης - You could not step twice into the same river. -τὰ ὄντα ἰέναι τε πάντα καὶ μένειν οὐδέν - All entities move and nothing remains still. "Tempora mutandur et nos in mutatis illis" - the bottom line here being that if one doesn't change with the times, the times will change without you. A close relative after being given this maxim (in English) by his Line Manager on joining HM Civil Service as a probationer in 1947 subsequently rose to Permanent Secretary.